…they sometimes slip apart. 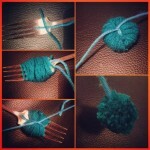 Those cute little fork pom poms. Life is not fair. By request, we are venturing deeper into craft territory. A friend asked me to show her how to make these, and we were too busy lounging on the beach to get around to it last weekend, so here they are. 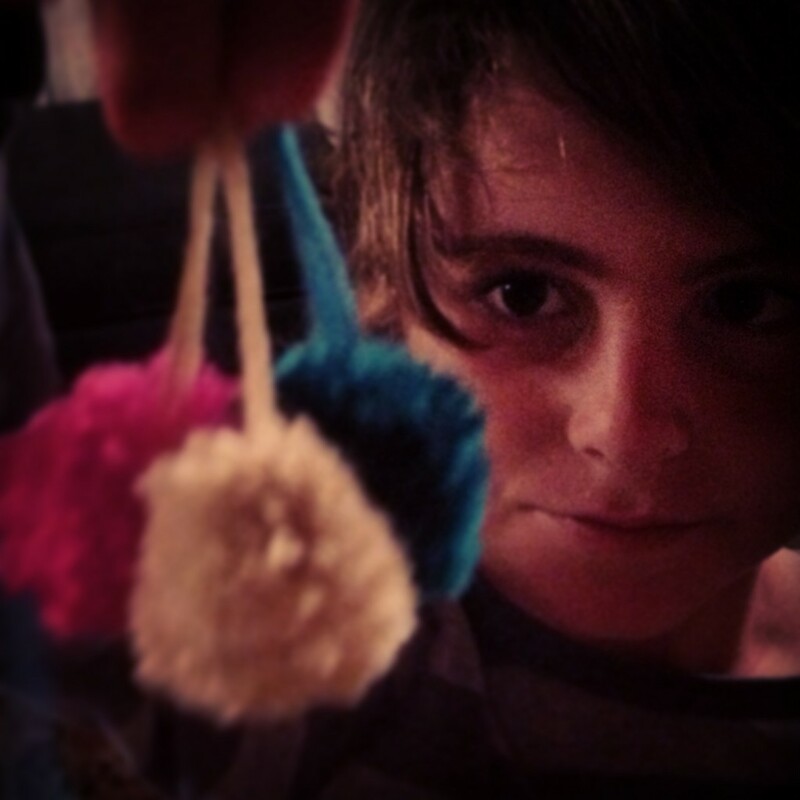 How to make adorable little mini pom-poms. 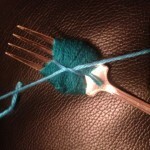 Place a single thread of wool across the middle tines of a fork. 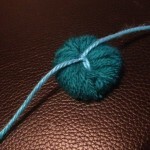 Make it long if you want to use it to tie the eventual pom-pom onto something. 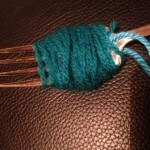 Wrap wool around and around the fork. Tie the original thread once, as tightly as you can. Slip it all off the fork, and tie again. Tightly. 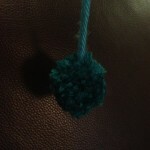 Cut through the “folded” edges, fluff out, and trim with scissors to a fuzzy sphere. 1. 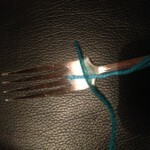 Place thread in the fork’s fork. 4. Slip off the fork, & tie again. 5. Fluff and trim ends.